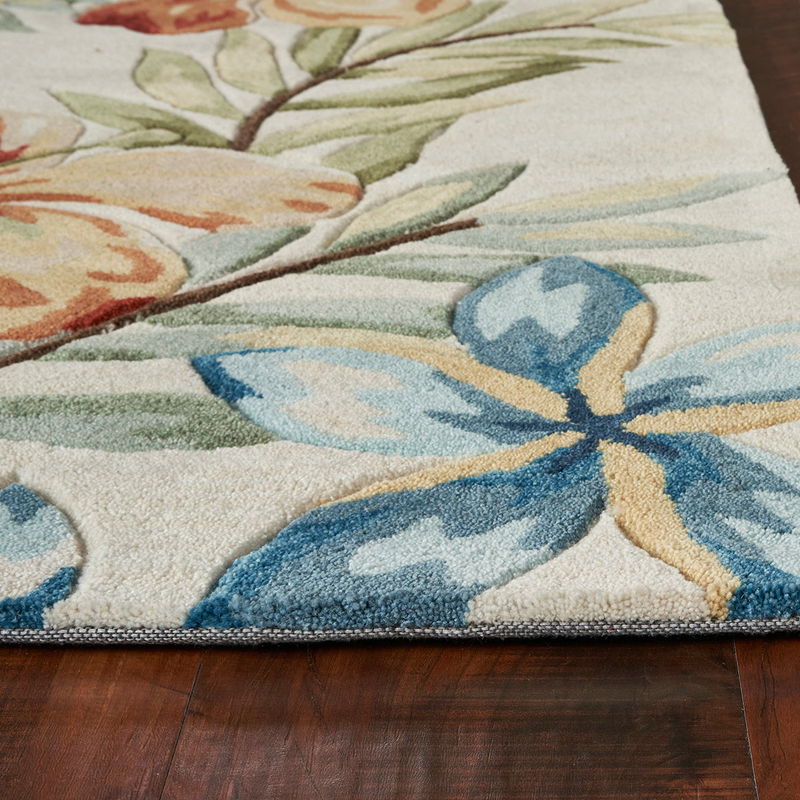 Give your den a new coastal look with the Floridian Paradise Rug - 6 Ft. Round. 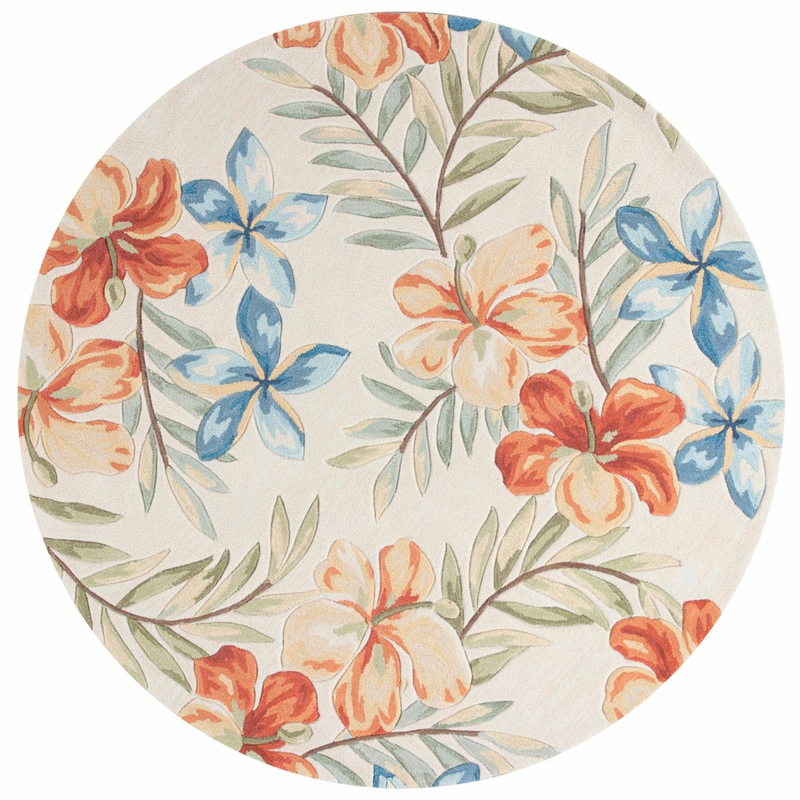 This area rug features pale blue and vibrant coral flowers on a soft ivory background.